Should a classic novel be reinvented? This question is nothing new, but neither is the concept. For centuries stories have been retold, reworked, and presented in different forms. Many of Shakespeare’s plays have origins in Greek mythology and folklore and verbal storytelling. The constantly evolving fairytale genre is another example of this. When I heard that six of novels of Jane Austen were going to be rewritten in a contemporary format I was wary, but only in the “Don’t fix what ain’t broke “ context. The Austen Project pairs six bestselling contemporary authors with Jane Austen’s six complete works: Sense & Sensibility, Northanger Abbey, Pride & Prejudice, Emma, Persuasion and Mansfield Park. 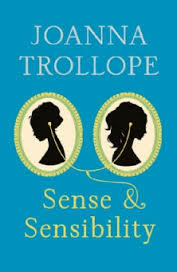 Sense and Sensibility has been rewritten by Joanna Trollope and was released on October 2013; Northanger Abbey was rewritten by Val McDermind and was released on March 2014. Curtis Sittenfeld is working on Pride and Prejudice, which will be released in a few months and Alexander Mccall Smith is penning Emma. No news on the other two novels, as of yet. Hint, hint, I’m available. Jane Austen is one of the most popular writers in the English language and if she wrote today she would be labelled under the chic-lit romance genre. Her books were published between 1811 and 1815 and have been widely read ever since. So should they be tampered with? I have heard authors talk on this subject and many are of the opinion that it keeps the stories alive. I believe the only opinion that matters, is the authors, as it is their work. This is obviously difficult, as in this case, when the author is deceased. But a good story is a good story, and I can’t form a valid opinion until I’ve actually read one. The reviews are generally good, and I’m thinking I will dip my toes in the water. I might start with Emma, when it is released, as it is one of my favourites and Alexander Mccall Smith is such a witty, Wildean (Oscar) writer, that I’m sure he’ll capture the Austen spirit to a hilarious tee. Or maybe I’ll start with Pride and Prejudice; I feel Curtis Sittenfeld is an excellent choice for this novel. Sittenfeld really knows how to get into the mind of a young adolescent girl with all her turmoil; she displayed this in Prep (loved this novel). But…. After reading J.K Rowling’s review of Northanger Abbey maybe I should start there. I’m going straight to The Book Depository to order my copy. Any suggestions, besides moi, for who should write Persuasion or Mansfield Park? I always get a little twitchy with Austen’s stories being considered straight romance, but that is a personal failing because I love the sharp social satire more than the actual romance in most of them (I’ve always thought she was better compared to Thackeray’s “Vanity Fair” than the Eyre sisters, but that’s a whole ‘nother story). I really like the looks of this project and will have to go check out “Northanger Abbey” for sure. Persuasion is my favourite of her novels. As I weep bitter tears that I won’t be the one to re-write it, I’d actually like to go for the big guns and suggest Margaret Atwood for the re-write. Persuasion in particular is oddly in tune with the type of story she wrote before she started on the MaddAddam series and her sense of humour is stiletto-sharp. Yes, i thought i might stir the pot with the suggestion that she is chic- lit romance. I’ve always enjoyed her wit and social observations the most as well. Margaret Attwood is an excellent idea. Haha, I just replied to Cat saying I was stirring the pot with the Chic- lit romance jab. I adore Austen, so that’s why I was curious to read the adaptations. Interesting, this is the first I’m hearing of this! I’m like you–a little wary but probably going to try them out 😀 But I suppose if these stories point readers back to the original novels and Jane Austen in general, then maybe it’s okay? Ultimately, I think this is what it does, it renews interest in them. Go austen! Thanks for letting us know about these books. Val McDermid is one of my favorite authors. Love her Tony Hill, profiler, books. If the quality of writing is true to form for this amazing Scottish writer, these should be great! 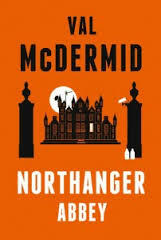 That is why the project caught my attention, I’m Not a Joanna Trollope fan, but then i saw McDermid, such a great crime writer, and Sittenfeld then Mccall Smith, i though I must have a look at these. Really interesting reading this. I’ve never read one, so can’t add too much, but I can see the genre growing. You’re right about the genre growing. i just read that The Shakespeare Project has started with Jo Nesbo doing Macbeth. These are hard acts to follow, but I admire the pluck it takes to try 🙂 And thanks, btw, for following me on Cold. Right back atcha. Thanks for the follow:). i would love to try and do one of the Jane Austen novels, but I don’t think I have the courage.